★★★★1/2 STARS, beautifully written film, fabulously performed. 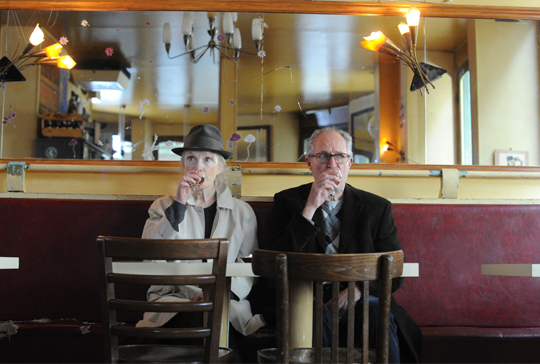 Le Week-End is a beautifully observed, funny and poignant story about the nature of love and commitment where husband and wife yearn to recapture their youthful fearlessness, lack of responsibility and idealism. A married couple, Meg and Nick (Jim Broadbent and Lindsay Duncan), revisit Paris to revitalise their marriage, and run into an old friend (Jeff Goldblum) who gives them a new vision on life and love.